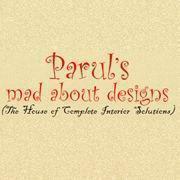 Paruls Mad About Designs conducts classes in Residential Interior Designers. It is located in DLF City Phase 1, Gurgaon. It takes Regular Classes- at the Institute.